The University of Texas School of Law is a nationally recognized center of training in advocacy and winner of the American College of Trial Lawyers’ Emil Gumpert Award. The school’s state-of-the-art facilities for the teaching of advocacy and dispute resolution include the John B. Connally Center for the Administration of Justice, the John L. Hill Trial Advocacy Center, and the Harry M. Reasoner Center for Trial Practice. The advocacy facilities also house a large, fully functional courtroom, complete with judicial chambers, jury rooms, and attorney conference rooms, as well as a number of teaching courtrooms and video review rooms. The Advocacy Program began more than 30 years ago as a response to concerns expressed by many distinguished graduates. The critics were judges and legal professionals at work in the field; their targets, the influx of new law graduates who, while well-versed in the theory and history of the law, had little or no idea how to function in a courtroom. Through a series of trial tactics courses and the initiation of the student advocacy organization, the program began to flourish. Today, the Advocacy Program is producing winning national teams and top honors for its excellence. The University of Texas now has a unique Advocacy Program that links the academic and competitive aspects of advocacy. The program focuses on all areas of advocacy by building on the rich tradition already established and assisting students in developing a core set of skills that will make them persuasive advocates no matter who their audience. A variety of courses are offered combining basic theory and techniques, client and case management skills, practical interdisciplinary experiences, and the philosophy behind the art of persuasion. The Advocacy Program includes not only a full-time faculty, but also an adjunct faculty comprised of talented and experienced attorneys and judges. Students work in small groups with faculty in classes designed to provide realistic advocacy experiences. As such, students are afforded the opportunity to practice voir dire before real jurors, utilize focus groups for various courtroom techniques, depose witnesses before student court reporters and even to have motions heard at the courthouse before state and federal court judges. The Advocacy Program also sponsors several interscholastic mock trial competition teams such as the Georgetown White Collar Crime Invitational, Lone Star Classic Invitational, Stetson Law National Pretrial Competition, John L. Costello National Criminal Law Advocacy Competition, AAJ Student Trial Advocacy Competition, National Trial Competition, and the Show Me Challenge National Voir Dire Competition. Participation on an interscholastic team requires not only talent and skill, but also tremendous commitment. The students competing for the University of Texas have achieved and continue to maintain a level of excellence rarely matched. In just the last ten years, the University of Texas mock trial and moot court teams brought home twelve national titles, a host of regional championships and advanced in almost every interscholastic competition they attended. 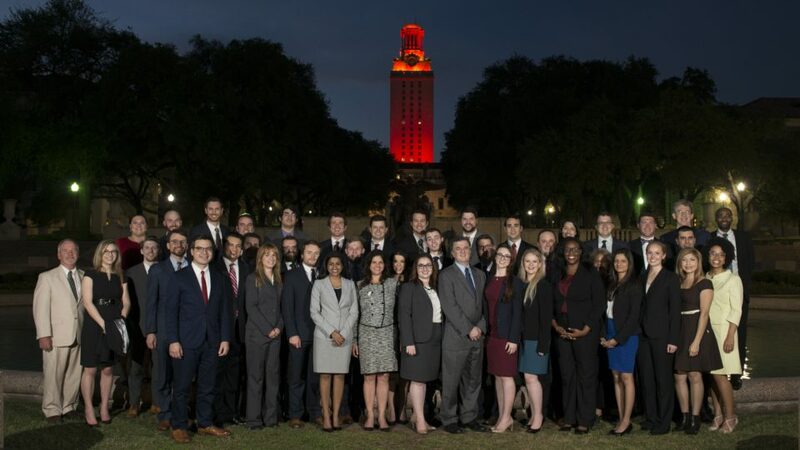 The goal of the University of Texas School of Law Advocacy Program is to produce the best advocates in both the state and the nation. Through the innovative academic courses, competitive advocacy tournaments and the instruction of many dedicated attorneys and judges who participate in the program, our students are provided the well-rounded education necessary to achieve this goal.